I am currently enjoying three weeks of Christmas holidays. Today was my first day, and after a successful bake of Waldkorn bread last week, I decided to have a go at a bigger version of the bread. My first attempt, creating a small bread,was met with so much approval that I did not get to eat very much of it myself. For your information, Waldkorn is a type of multi-grain bread which is quite light and very tasty. It the Netherlands, you can buy “Waldkorn mix”, containing several flours like wheat, rye, oats, barley as well as some sunflower and lineseed. You complete the bread mix by adding normal white flour, water, yeast and a bit of butter. Yummy! But my wife nudged me to create something different instead, as a holiday treat. She suggested a cinnamon roll. 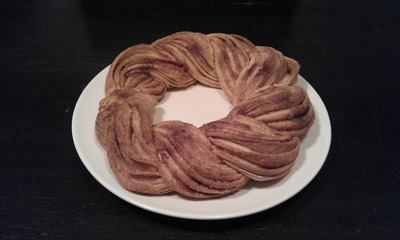 What we came up with was a recipe for a braided cinnamon roll. Did not take all that much time to create (most of the time is spent waiting for the proving and baking). 15 minutes for mixing and kneading, 1 hour for proving, 10 minutes for rolling and braiding, 35 minutes for baking. Mix the yeast with the sugar and the warm milk, Allow some time to let the yeast activate and create bubbles and foam. Add the egg-yolk, softened butter, flour and salt. Stick the fingers of your hand in there, it’s fun! Mix the ingredients until the dry components have been absorbed and a dough has been formed. Dump the dough onto your work surface and knead it firmly for 10 minutes until it forms a smooth ball. You’ll feel the transformation in texture when the gluten start to develop. Place the ball of dough into a large, lightly oiled, bowl. Cover with cling film or a tea-towel and place the bowl in a warm environment (room temperature is warm enough, do not put it directly over your central heating!). Leave the dough to prove until it has doubled in size (should take roughly 1 hour). Pre-heat your oven to 200 centigrade. Lightly cover your workspace with some flour, take the dough out of the bowl and use a rolling pin to flatten the dough to a rough rectangle of 1 mm thickness. Spread the largest part of the molten butter over the dough and sprinkle generously with the sugar/cinnamon mix (keep a bit of both butter and sugar/cinnamon for the finishing). Roll up the dough. Using a sharp knife, cut the roll in two halves length-wise. Braid the two halves and make sure to keep the open layered side pointing up and outward (see picture). 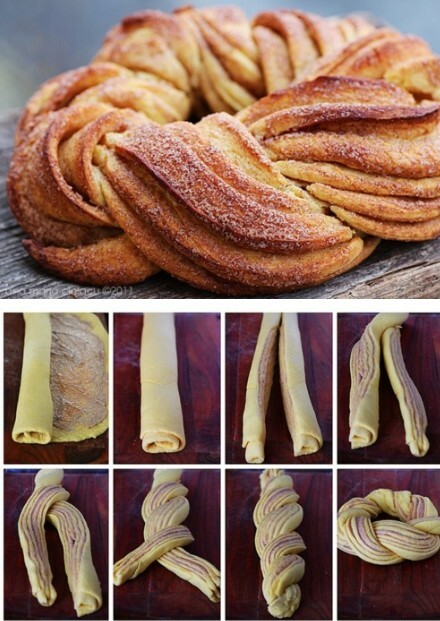 Place the braid on a baking tray lined with baking paper, and bend it into a circular shape. Tuck one end under the other. Apply the remaining molten butter and sugar/cinnamon mix to the top which gives the finished bread a nice color. Bake for 30 to 35 minutes until the top is golden brown. Lower the oven temperature to 180 degrees centigrade after 5-10 minutes of baking. Well folks… apparently there is nothing more attractive than a bake straight out of the oven. I think that about 10 centimeter of bread is left at the moment. This is the result of all family members sneaking into the kitchen in the evening and pinching pieces of the cinnamon bread. It tastes absolutely delightful! The picture on top is my own produce. Posted: 18 December, 2013 in Me, Recipes. Resembles kanelbulle or kanellängd i think i might give this one a go. will it be soft or crisp??? This one gives a crisp crust. The inside is like bread, so a bit soft. 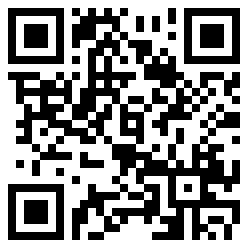 It says to use white flour…. Is that just plain or strong white flour? For all my own baking I use plain white flour. I am happy with the way the breads turn out. I should perhaps once buy some strong white flour to see the difference. Probably the professional bakers would laugh at me for using cheap flour instead of strong flour or bread flour.